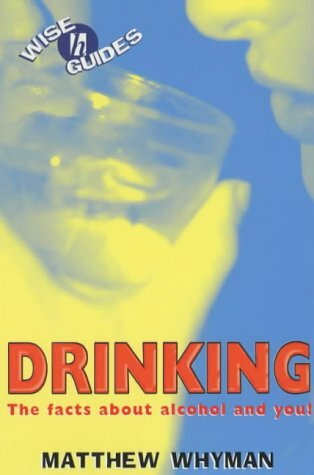 This book on alcohol awareness aims to help readers make informed decisions about their drinking. It also gives advice on the difficulty of living in an environment with problem drinkers. In the opening chapter on understanding alcohol we are given the often-quoted safe levels of drinking for adults. The author claims it is impossible to give sensible drinking guidelines for under-18s. However, I think this is needed. It is not illegal for teenagers to drink and some are drinking regularly. The research I have been involved with suggests that 3-7 units is a safe bet, not all at once and with the proviso that a safe amount depends on age and body weight. Young people want to know the facts about alcohol, the strength of different drinks, why people drink, how to avoid the risks and what to do if things go wrong. These topics are covered here. There are also extensive and presumbly authentic quotes from young people themselves. One says: 'it washes away your nerves especially when it comes to chatting people up. The downside is you risk talking rubbish, of course.' While a 13-year-old reflects on a parental drinking ritual: 'My dad fixes himself a drink as soon he gets in. He doesn't even ask how my day was not until he has a gin and tonic in his hand.' There is a helpful section on the impact on health, which considers alcohol and diet and the effect on the skin. Body image is important to teenagers and they are likely to take note. A chapter on risks links alcohol with violence with an example of a young person's salutary experience in a pub which nearly cost him his life, after he had edged his way to the bar past an aggressive group of drinkers. In a later chapter advice is given to someone worried about friends drinking. A friend is said to be often best placed to express concern and give advice. The 'recovery position' is recommended for a drunk person but it would have been useful to show it in diagrammatic from. This book is well researched and covers a lot of ground but I am not sure if younger teenagers would buy it. It is more likely to be bought by worried parents after noticing raids on the drink cabinet. It could also be used by teachers as a resource in a PSHE lesson and for youth workers wanting to help young people create their own booklet on alcohol.